United We Drink | Richmond Craft Beer | Style Weekly - Richmond, VA local news, arts, and events. A guide to Richmond-area craft beer enthusiasts' clubs. 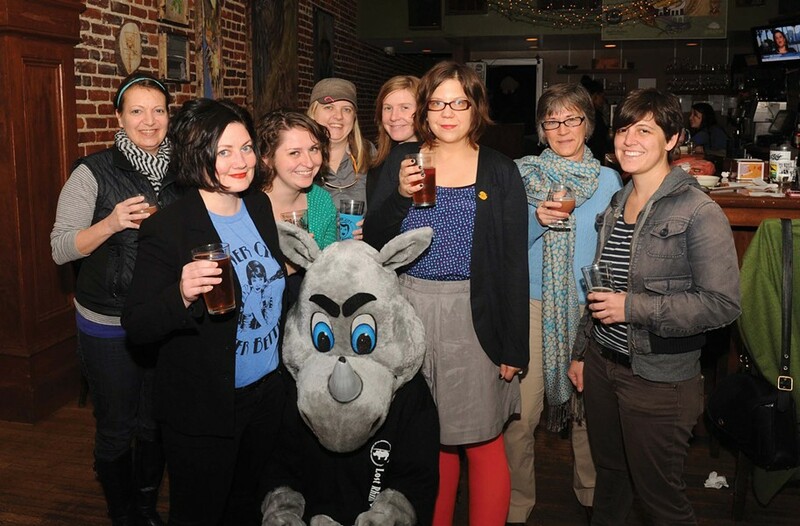 River City Beer Betties, which includes Style contributor Hilary Langford, second from left. Invite-only group composed of bloggers, brewers and rabid collectors sharing beer-related information. Despite the name, far from a snobbish crew. facebook.com/groups/richmond.beer.elite. Association committed to public awareness of home brewing. Members hone their skills, partake in good times and hold tastings of their delicious creations. jrhb.org. Suds lovers from across the metro area get together for beer dinners, brewery tours and other events to expand their beer horizons. richmondbeerlovers.com. Craft-beer-loving ladies who seek to increase the presence of women in beer through the exchange of solid brew recommendations, tastings and networking events. rvabeerbetties.com. Celebrating all things beer with a zesty An "Mekong" Bui point of view. facebook.com/groups/177152852343268. A liaison between local craft brewers and the community using a smartphone app that seeks to make local as accessible as possible. Organizes regular events including bus tours and festivals. localsuds.com.